Spotify is a video, podcast, and music streaming freemium service which offers free streaming of rights managed-protected material in its free plan. While additional features like improved streaming quality and music download are available to users who opt and pay for their selected monthly or yearly subscription packages. Music industry’s revenue has a bigger part of Spotify’s contribution in it. One cannot ignore Spotify when talking about online music streaming. Spotify has attracted millions of subscribers by its free service and then pay for their favourite music. Though Spotify hasn’t covered many countries, Spotify business model has been succeeded in comparison of many other online music streaming applications. Spotify was launched in 2008 in Sweden as music, podcast, and video streaming freemium service. Spotify uses a freemium model strategy to make money through paid subscription and advertising. Like Youtube and MailChimp, Their main revenue sources are premium subscriptions where they provide unlimited downloads and no advertisement. In premium subscription, they increased song bitrates to 320 kbps. Spotify is an online music streaming application, which works on a freemium business model. Spotify provides free music, podcast, and video streaming and improved podcast quality as well as advertisement free and unlimited download services to their premium subscribers. Spotify has introduced 3 different types of versions. This is the basic version among all versions. In this free version, a user can use in general all the contents but its use is limited. And it includes lots of advertisement and there is no option to listen to the song while one is offline. And there are also limitations on the quality of the songs you play. So basically, Spotify’s free version offers limited access to its services. This is the premium version of the application as its name suggests. This version is priced at $9.99 per month. And in return, it offers limitation free access to its services. Moreover, there are no advertisement to disturb the user and no quality compromise! If there is more than one person in the family wants to use the Spotify services, instead of Spotify premium, they can use the Spotify family version. They introduced this plan in October 2014. As this version provides all the premium features to up to 6 people living at the same address. And for this service, they charge $14.99 per month. And every member gets their own account and so, there is no need of sharing their playlist. Moreover, taking a family subscription reduces the total cost of Spotify Premium. Which is fare enough deal!!?? Spotify is available on almost every operating system and works just like any other SAAS with all of its data stored on the servers. Spotify operates under a freemium business model which means basic services are free and additional features are offered with the paid subscription. Spotify gathers its audio/video content from major record labels as well as independent artists and pays copyright holders royalties for streamed music. Spotify uses a cache on the computer of user (who have requested for streaming) hard drive as well as on the hard drives of all Spotify users. While a cache is a temporary holding area for tracks the user has listened to and the user wants to listen to that track again, Spotify draws upon the music stored in the cache so that it doesn’t have to re-download the track. Spotify’s work may impact on computer’s hard disc space and internet connection of users. Spotify does not work like many other online music services because it relies on several ways to smoothly deliver music to its users with no delays. Spotify wants to keep latency at a low level to make sure there is no massive delay between choosing a track and hearing it on phone or computer of the user. Here latency is a measurement of delay between requesting a song and hearing it. Now, let us look at how does Spotify work. When the user begins playing a streaming track from Spotify, Spotify takes few actions as below. Spotify keeps user’s music in form of cache. That cache is a temporary holding area for tracks the user has listened to. And if you want to repeat the track and listen to it again, Spotify draws upon the music stored in user’s cache. So it doesn’t have to re-download the track. But when the cache is full, the old stuff gets overwritten. This is how Spotify works. Spotify searches for other nearby computers that use Spotify and used by other Spotify users, who may have a local version of tracks or fragments of the tracks stored in the cache. In starting, user’s computer becomes an equal player in one big network of many other computers running Spotify. In this p2p network (peer to peer network), the computers communicate on an even footing, uploading and downloading or you can say sending and receiving files. Spotify takes care that user doesn’t have a lag between one song and the next. So, it starts fetching the beginning of the next song in the playlist or the album one is listening to a few seconds before the current song ends. And if one chooses a totally different song which is not there in its playlist, Spotify also responds to its request in a very short time. This is how Spotify works. Spotify uses very less amount of data in uploading and downloading tracks. So, those tracks don’t occupy more space in the phone of users. And if one chooses to play the same songs on regular basis, Spotify places them into the cache. So every time, it doesn’t use mobile data to play those songs. But Spotify uses mobile data in uploading songs from user’s cache to another user. While this data is not big deal as there is a low speed of uploading the file compares to download speed of the file. Spotify is an on-demand music streaming service that allows users to browse through a catalogue of music, licensed through multiple record labels, and create and share their playlist with other users of Spotify. This internet radio service provides access to over 35 million songs to their users. And it is available for almost every modern device like windows, macOS, Linux computers, PlayStation, Xbox one home consoles, along with mobile devices-iOS, Windows and Android smartphones. As of March 2018, Spotify is leading music streaming service in the United States. In 2017, Spotify was having 36% of subscribers among total users of music streaming services in the world. As per 2017, annual revenue of Spotify was $4.78 billion, which marked 40% growth with 170 million monthly active users as well as 75 million Premium subscribers worldwide. Now, let’s see how does Spotify make money through the Spotify business model. Spotify makes money from two major sources. Through advertising in the free subscription: Spotify not only earns from banner advertisement but also uses audio advertisement for earning money. 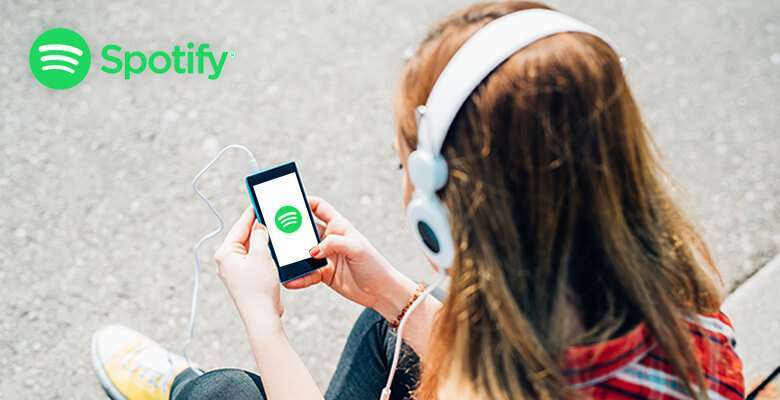 Spotify supports different kinds of advertisement such as sponsored sessions, audio, video takeovers, overlay, advertiser pages, and branded playlists. These advertisements are different in their size, type or user engagement. Through paid subscription in premium version: In this premium version of Spotify, there is a 30 days free trial priced at $9.99 per month. As this is a premium version, there is no advertisement and user can play any song on demand as well as discover new music, find and hear playlist, listened to tunes picked by radio feature of Spotify, create and edit playlists. There are options to listen to HD music at 320 kbps offline; skipping tracks as well as using the Spotify app on their mobile device as a computer remote are the other features possible. You may also like In-depth Analysis: How does Discord Work? As compared to other online music streaming application, Spotify has a smaller impact on the market. Moreover, subscription fees are also high compares to other applications. But Spotify has helped millions of its users to connect with each other over their common love for music. It also helped different music to reach in a different part of the world. The platform of Spotify uses factors like country, the currency value of country, contracts, artists’ value etc. to calculate royalty per stream. Spotify is critical to the revival in the music industry but its business model is brutal to earn enough money in this competitive world. Technically, it has not generated enough profit but Spotify, founded in Sweden, by founders Daniel EK and Martin Lorentzen; is now one of the world’s most popular music streaming application with over 159 active users as of December 2017. So, here we are done with How does Spotify Make Money. They started Spotify in 2006. Spotify’s Business Model is welcomed by the music industry which has suffered losses in revenues and album sales due to music piracy over the internet. Spotify application came from the idea of combating music piracy. Spotify is trying to restore much of the lost value by convincing music faces to spend more on music, having paid out more than $3 billion so far its website said. 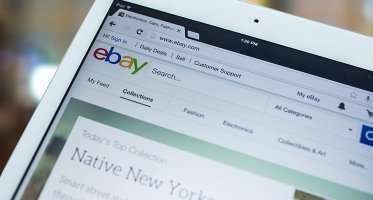 According to the New York Times, that business model launched the streaming service off to a rocky start, as it posted losses of $197 millions in 2014, despite having ranked in 41.3 billion in revenue. 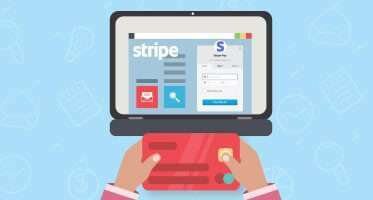 The company persists that it will turn in profit when it gains a certain amount of subscribers. How to Start a Website Similar to Spotify? If you are attracted to the facts and figures of Spotify and also want to start a similar Website like Spotify then take a look at a customizable ready-to-go Spotify clone script for your start-up. You are welcome to discuss your views on How does Spotify Work? Kindly share and get the experts notation on your queries. 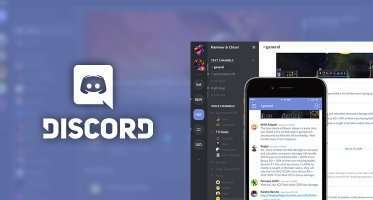 ← In-depth Analysis: How does Discord Work? In-depth Analysis: How does Discord Work? Hi there to every one, it’s genuinely a good for me to go to see this web page, it contains helpful Information.